URBANA — James (Jim) P. Warfield, 76, passed away Monday, Jan. 14, 2019. Jim was an architect and professor of architectural design at the School of Architecture, University of Illinois at Urbana-Champaign (UIUC). Jim was born in Granite City to Vivian and Eldon Warfield. In 1964, he married Rochelle (Chelle) Wilson of Fox Lake in Ingleside. They adopted four children, Joseph Glennon, Mark Alan, Anna Martina (McQuillan) and Christina Lee (Fisher). They had seven grandchildren, Brandon McQuillan, Gabriella Fisher, Ian Fisher, Sarah Warfield, Elisabeth Warfield, Peter Warfield and Connor Fisher. Jim had two younger brothers, Walter Harold Warfield and Eldon William Warfield, both living in Florida. He was predeceased by his parents and daughter, Anna. Jim and Chelle lived in Champaign until they moved to Clark-Lindsey Village, Urbana, in 2016. As a student at UIUC, Jim received many awards, including the Bronze Tablet, which is housed in the main library. As a junior in 1963, Harvard Professor Evon Z. Vogt asked Jim to spend a summer in Chiapas, Mexico, studying the architecture of the various peoples there. His writing and drawings became a chapter in Vogt's book, "Zinacantan," and in a Spanish book published by the Mexican government called "Los Zinacantecos." This was the start of his lifelong interest in vernacular architecture. During the late 1960s [1966-68, Group 21, Univeristy Education], Jim and Chelle served in the U.S. Peace Corps in Bolivia, South America. They trained for this service at the University of Washington for three months. They learned Spanish and a bit of Aymara, a language spoken by the Aymara Indians around La Paz; the customs of the people they were to work with; Bolivian history; dances; safety; first aid; food; and how to survive in a small town in Washington with no motels, hotels or guest houses for four days with only $3.00. This was a test of their ability to make friends rapidly. The Peace Corps became Jim's first teaching experience. He excelled, and his students at the University of San Andres in La Paz, Bolivia, loved him. Some of his students have stayed in touch after all these years.That experience led to his choice to teach at the University of Illinois on returning to the United States. Jim was awarded the prestigious Francis J. Plym Travelling Fellowship in 1971-72. This award from the UIUC School of Architecture is based on an architect's first five years of professional work completed after graduation. It paid for six months of study and travel in Europe. Chelle and their two small sons accompanied Jim. Because there were four people travelling instead of one, they had to use personal funds to cover expenses. Although they returned home flat broke, the experience was priceless. In 1997-98, Jim received the American Collegiate Schools of Architecture (ACSA) Distinguished Professor Award. This honor recognizes sustained, creative achievement in the advancement of architectural education through teaching, design, scholarship, research or service. As a professor at UIUC, Jim was recognized 53 times on the "List of Teachers Ranked as Excellent by Their Students" for 14 different courses. He loved teaching so much that after becoming a professor emeritus in 2003 and retiring in 2003, he continued teaching through the end of 2018. In addition to teaching architectural design, he taught a chancellor's scholars course for more than 20 years to students in majors other than architecture. His classroom for most of the semester was a large van, which he used to drive the students to prime examples of architecture in Illinois and Indiana to teach them what architecture is. Jim's interest in vernacular architecture led to extensive travel with his wife covering much of the world. He was an excellent photographer and had a website of 50,000 pictures at jameswarfield.us. His photography was exhibited on the UIUC campus and in Chicago, Scotland, Turkey and China, among other places. While doing all these things, he also designed and had 65 built structures. As a professor, Jim frequently led study-abroad trips to Mexico, Turkey and Greece. His first trip to Shanghai, China, in 1988 established a summer program between Tongji University's architecture program and UIUC architecture students. He spent nine summers in China with students and 10 more trips there without students. With the program established, other UIUC faculty also took students to China and Tongji University. Jim was appointed advising professor of architecture at Tongji University in 2012 and served in that position until his death. He wrote articles for three Chinese journals and was appointed to the board of directors for several Chinese publications. In 2013, Tongji University celebrated the inclusion of the Warfield Vernacular Architecture Archives as part of its library collection. The celebration was part of a dedication ceremony held at Tongji University with his many academic and administrative friends of Tongji University and its architecture program. Jim was the author of seven books. His travel publications were: the art of the travel sketch, dancing lessons from god, Roads Less Traveled and An African Journal. Jim was a prolific sketcher whose drawings were widely admired and published and exhibited at the UIUC, across the United States and abroad internationally. Jim enjoyed fishing, movie-going at the art and Savoy theaters and seeing plays at the Station Theater, Parkland and UIUC. He attended weekly lunches at various restaurants with other retired colleagues. But his passion in life was a trip to anywhere in the world. His favorite places were the U.S. Southwest, China, Mexico, Borneo, Papua New Guinea, France and the Greek Isles. 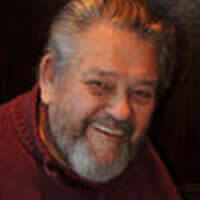 A celebration of Jim's life will be at noon, Feb. 9, at Clark-Lindsey Village, 101 W. Windsor Road, Urbana. Refreshments will be served after the program. In lieu of other expressions of sympathy, the family prefers donations to Heifer International (heifer.org) or the charity of one's choice.